Hi Simon, welcome to Teen Librarian! Can I ask you to introduce yourself to the audience please? The Savage Kingdom is your first novel; can you describe it in one sentence to hook a potential reader? MANKIND VS THE ANIMAL KINGDOM, WHICH SIDE ARE YOUR PETS ON? You were originally self-published, how did you go from being an indie author to being picked up by Simon & Schuster? I’m a great believer in ‘be the miracle’. If you have a dream, believe in it, go after it whatever it takes. It may take years. If it’s a dream that’s worth anything it’ll probably also be a really tough road full of rejection and disappointment and setbacks. And most likely it’ll lead you to a destination you didn’t expect. But the journey will be an experience all the same. And that’s the true reward. I didn’t get paid to write my novel originally. I wrote it because l had to. I had to get it and those characters out of my head, out of my system, and I wanted to share some stuff I felt about the world with my smart, feisty, inquisitive, beautiful daughter. I don’t know what my agent (the wonderful Zoe King of The Blair Partnership) would say, or the amazing team at Simon & Schuster, but I think they picked it up because it was written from the heart, because I completely ignored ‘the market’ and just wrote a story I was burning to tell, one that surprised and thrilled me and kept me awake at night. Chances are if it does that to you as a writer, it’ll do it to someone else too. You are also a writer of stage and screenplays, do you find yourself having to think in different ways when writing a novel as opposed to a play? Hmmm. Great question. The obvious difference is that novels are a marathon while plays/screenplays are a sprint (to this writer anyway). But actually, I think there are more similarities than differences between books and film/TV. Both, when they work well, are very visual. In the latter the creator makes the choice about exactly what it is you are seeing, just like comics and graphic novels, whereas in novels the author seeks to create a picture in the mind’s eye of the reader, and of course that film that’s playing inside your head is different from mine and for every other person reading it. That’s why dedicated fans of novels are often disappointed by adaptations of their favourite works/characters, but it would be impossible to put something on the screen that represented everyone’s idea of what it should be. Stage plays are a different challenge altogether, as with few exceptions, they rely much more heavily on dialogue to carry story and convey character. I love working across all the disciplines – songwriting too – and find it creatively stimulating to move between them. Right now though I’m thrilled to be writing The Savage Kingdom Book II and seeing where Drue and Will-C and the other main characters lead me and whether the survivors of Book I can find a way to live together. Some very big twists and turns in store! Originally it was Dan Dare (The Eagle comic circa 1964). Him and Spiderman and my dad. They fired my imagination and encouraged me to make stuff up and scribble it down when I was still a kid learning joined-up writing. Because we barely had two pennies to rub together, I had to get inventive about feeding my habit for comics as I couldn’t afford to buy them. So what I did, is I drew my own. Frame by frame. Page by page. Copying others at first, before branching out and inventing my own characters and stories. Below is a snap from a pencil rendition (with apologies to Stan Lee, I was 12 and knew nothing about copyright!) of the origin of Spidey. I drew the whole comic. Spent months on it. I didn’t know it at the time, but it was a great tool for learning about the economy of storytelling. That’s why I love writing for YA and younger readers. You can’t get away with anything. The story either works or it doesn’t. The Pulitzer Prize winning playwright/novelist David Mamet said an interesting thing about story: All a reader/viewer really cares about is what happens next. What’s inspiring me to write TSK Book II today is exactly that. What happens next! What is your favourite part in the writing process? Typing The End! Always a moment of great satisfaction. But I also love all of the stuff that precedes the actual writing. First hand research is key to me and something I really enjoy. Not just trawling the web (though it’s a very useful tool) but hanging out in cafes listening to people, visiting far flung places, experiencing new cultures, discovering new things. What’s also magical, is that moment when you are so absorbed in the tale that the characters begin to lead you where you didn’t expect to go. You’re writing it, supposedly in charge, but they are demanding to take a different path than the one you had planned. That’s always thrilling and a sign to me that a piece is really flying. Were you a reader as a child/teen and do you read works by other YA authors? If I wasn’t kicking a ball or building a den in the woods, my nose was always in a comic or a book. I particularly loved stories that explored the wild and involved animals or animal/human relationships: Watership Down, The Call of the Wild and White Fang. I’m still an avid reader of fiction and non-fiction, and yes, there’s some brilliant YA on my shelves. I loved The Book Thief, The Curious Incident of the Dog in the Night-time, the Dark Materials Trilogy, and though I haven’t bought a copy yet, Rainbow Rowell’s Eleanor & Park looks like a great read too. What do you have planned next – after The Savage Kingdom? The Savage Kingdom Book II! And I’m also thinking about revisiting that world with a third instalment, but I can’t say too much about that yet. If I promise not to drone on for too long, perhaps you’ll invite me back on Teen Librarian for an update down the line. It’s been great sharing some thoughts with you. And remember, creative writers aren’t much use without creative readers! Well this week the YA literary blogosphere has been afire with people raving about the Young Adult Literary Convention that took place this past weekend under the wings of the London Film & Comic Con. I have a bit of a love/hate relationship with conventions – I love meeting authors & actors seeing friends in the audience and among the people displaying their wares and seeing the cosplayers BUT I really do not enjoy massive crowds of people, in the past my con of choice has been the MCM Expo in Docklands, followed closely by the LFCC but as con culture has grown in the UK so have the crowds and navigating my way through packed gang-ways makes my want to run away screaming. My past survival technique have always been to get in early, see as much as I can and get out before it gets unmanageable. You want to know something cool? – I was at YALC on the Sunday and it was utterly magnificent! I was fortunate enough to be invited to a blogger breakfast chat on Sunday morning. The brunch featured appearances by Holly Black, Matt Haig, Non Pratt and James Dawson who each gave a short introduction and promotion of their books followed by a meet & mingle with coffee, juice and croissants. Chatting to the Hot Key Books team, getting a hug from Sara O’Connor and a proof of Clariel thus earning my love and dedication for life. Speak to Holly Black – no idea how this did not happen, we were in the same area for ages! The most important thing anyone can do is support the YALC organisers and agitate for it to become an annual occurrence, this was the first one and it was amazing, I truly believe that next year will be even more spectacular and will do what I can to make sure it happens! I think that this is the only good thing to come from Blurred Lines by Robin Thicke. Word Crimes by “Weird Al” Yankovic is a brilliant parody of the above song and an excellent introduction to proper grammar. I will be adding it to my pop culture educational arsenal for my students in September as there are a large number of them that treat grammar as an optional extra. There is one instance of the term spastic at 3:10 into the song so if you do show this in class maybe stop it there or find some way of cutting that short segment out but it is near the end. Is it time for a New National UK Teen Book Award? Ever since The Booktrust Teenage Prize folded in 2010 there has been no national award for YA titles published in the UK. This has been bugging me for a while, and today on twitter I discovered that has been niggling away at others as well. 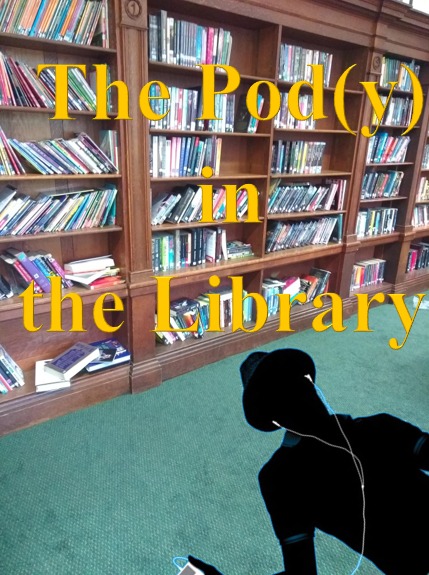 A while ago I had an idea to run a Teen Book Award through Teen Librarian but shelved it with other thoughts I have that require time and money. The idea is to run an award where the books are nominated by librarians and then voted on by the readers themselves. There is a wealth of YA authorial talent in the UK and it should be recognized; the only other national award that comes close is the CILIP Carnegie Award and that is aimed at books for children and teens. At the moment it is only the germ of an idea so please leave comments in the comment field below with suggestions on partnership, sponsorship and anything that can carry this idea to fruition. I love books, I always have and I collect them (hoard them as my dear lady wife says) and if I had the space I would have a room dedicated as my personal library. I would have one already but in life one must compromise and a multi-purpose room that is useful and used is currently more necessary than a private library (I hold the view that a library is necessary and useful thing to have but I wait for the day when we have space to allow that without massive arguments and upset). Being a keeper of books I have a rule about my collection that I am less than flexible about: I will NOT lend you my books! I have two exceptions to that rule – both of them friends that I have known for years, they hold to the views that you do not crease or break the spine when reading, do not dog-earing the pages, you do not eat while reading or leave the book open face-down on the spot that they stopped reading. They love books like I love them – with respect and care. I know people (both friends and family) who love books by reading them with abandon and so often that they need to patch them together with tape. Books that they have had for so long and read so often that the books flop open at favourite pages and for them that is the greatest sign of respect one can have for a book. You know what – they are not wrong! I believe in sharing books and stories, I am a librarian for Pete’s sake! But my collection of books is mine – I have books I keep because they are beautiful, wonderful and thoroughly enjoyable! They look good and I want to keep them that way. My way is not wrong either. I am not alone in the keeping personal books in perfect condition habit and I am sure that they know people who are bemused by that – as do I. To all those who love their books by keeping them as near to perfect condition as they are able; I am one of you. For those of you that read books to pieces huzzah! I hope you never change, but please do not hold it against me if I do not loan you one of my collection for it may ruin our friendship and possibly my book as well. I know there is no wrong way to love a book or books – there are many ways and I will not judge you if your way is different from mine. All I ask is that you don’t judge me for mine! A new report by Westminster politicians calls for every child in the UK to have a good library in their secondary school. The Libraries All Party Parliamentary Group’s report calls for the Department for Education to start collecting figures about the number of schools that have a library and librarian, and for Ofsted to look at school library provision when they inspect a school. It is vital that all schools have a good library to ensure children develop essential literacy and digital literacy skills in order to fulfil their potential and to contribute to the success of the UK economy, says the report, The Beating Heart of the School. GREAT NEW IDEAS FOR CHILDREN’S STORIES GET THE CHANCE TO BE TOLD! Britain has created some of the greatest children’s stories in history. From J.M. Barrie’s Peter Pan to J.K. Rowling’s Harry Potter series, the nation has produced ideas that have become part of our cultural heritage and captivated audiences around the world. Now the search is on to find Britain’s next ‘big idea’ with a major new competition to discover original story ideas for children. The Big Idea will be encouraging the nation to get creative this summer, giving participants the chance to see their ideas nurtured and developed by experts in the world of family entertainment. The competition challenges convention on how ideas can be brought to life and made into new narratives in book, film, TV, theatre or gaming. The judges will work together to choose six winning ideas. The winners will each receive £1000 plus the chance to see their idea come to life, with one overall winner offered the prize of a publishing contract and the promise of their idea being nurtured, developed and written by a well-known author. As Neil Blair explains The Big Idea is an exciting new way to bring new children’s stories to life by going to the heart of every one of them: the big idea at their core. The overall winner’s publishing contract will be in line with industry standards, with a shared royalty on every copy sold. The six winners could additionally see their idea work across a variety of media platforms, including film, TV, gaming, websites, apps and stage, with a commensurate royalty share. Entering couldn’t be easier, and creative writing ability isn’t a requirement – entrants simply need to outline their original idea in up to 750 words, describing what happens in the story, who’s in it, where it takes place and the type of audience it’s intended for. Entrants can visit the website at www.thebigideacompetition.co.uk for creative advice and look out for top tips and inspiration on The Big Idea’s social media channels. The competition opens on Monday July 7th and the winning ideas will be announced in early November. Tess Daly adds All the best children’s books come from a great idea, and a great idea can come from anywhere! I’ve joined forces with The Big Idea to celebrate Britain’s talent for storytelling and creativity. There are so many people who have a seed of an idea for a book, film or TV programme but don’t know what to do with it, so this is their chance to get support from the best. I love sharing and making up my own stories with my children – so I can’t wait to help uncover the next big story idea to be loved by adults and children alike. Reality has kicked-in to the usual fantasy world of children’s books with the winning titles, voted for by children themselves, being firmly based on real-life issues. At a party-style awards ceremony in central London, live streamed to schools and attended by authors and 300 child judges, reading charity Booktrust today (July 2nd) revealed the winners of the first ever Booktrust Best Book Awards with Amazon Kindle, as part of Children’s Book Week 2014. 12,000 schoolchildren nationwide voted for the winning titles to produce a host of superb winners crossing six categories. The winners are a genuinely eclectic mix of literary gold ranging from charming and humorous illustrated reads about the challenges and traumas of everyday life, to gritty coming-of-age stories. 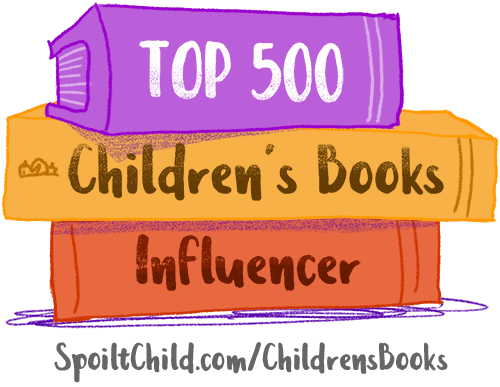 In the youngest age group, the 0-5 Best Picture Book category, Peck Peck Peck by Lucy Cousins topped the children’s vote. Written by the multi-award winning creator of Maisy – which sold more than 28 million copies around the world and even has its own popular TV show – this colourful, interactive story tells the endearing tale of a woodpecker being taught to peck for the first time. Timmy Failure: Mistakes Were Made by Stephan Pastiscame out on top in the 6-8 Best Story group. Coming from the man behind the devoutly followed comic strip Pearls Before Swine, the book features a perfect combination of deadpan humour, visual gags and comic-strip style illustrations to tell the tale of a wannabe middle-school detective. Diary of a Wimpy Kid: Hard Luck, the eighth book of the bestselling series, topped the fictional category. Written and illustrated by Jeff Kinney, the story focuses on protagonist Greg’s difficulty adapting to middle-school after being abandoned by his best friend. The 9-11 age group was split into two categories – fact and fiction. Winning the factual award was Operation Ouch! : Your Brilliant Body by twins, Doctor Chris and Xand van Tulleken. Based on the popular CBBC TV series, the book mixes mischief with medicine and engaged the children voters with their unique take on biology. The Fault In Our Stars by American author John Green is a tear-jerking but irreverent and humorous tale of teen love in challenging circumstances. The book’s critical acclaim is that, as well as seeing soaring sales in bookshops, it made a £3.4m debut at the UK box office on its opening weekend, making it this summer’s must-see film. Beautifully written and laced with humour and teen angst, the story follows the cancer ridden lives of teenagers who meet at a cancer support group. This book was a major hit with the judges and dominated the votes for this category. Celebrating the innovative use of technology in children’s books, Little Red Riding Hood illustrated by Ed Bryan conquered the Best Tech group. The interactive storybook app provides a completely new take on the classic fairytale, allowing children to create their own story by choosing from multiple paths. Published by Nosy Crow, Little Red Riding Hood beat David Walliams’The Slightly Annoying Elephant, to top the poll. A group of high-profile judges, featuring widely loved names from literature, showbiz and children’s TV, compiled a shortlist for each category of the awards – before the public vote decided the eventual winners. Judges included teen-queen author Louise Rennison, renowned children’s author and illustrator Lauren Child, Made in Chelsea’s Andy Jordan and Great British Bake Off star Mel Giedroyc who hosted today’s Best Book awards ceremony. What’s unique about the new Booktrust Best Book Awards is that children choose the winners themselves. Strikingly, this year, real life drama has taken over from fantasy, with children voting for books that deal with some of the real challenges facing young people today. Often using humour to lighten the load, these types of books can offer comfort and reassurance to children as well as entertaining them. Reading is important. Amazon Kindle is delighted to sponsor the Booktrust Best Book Awards which celebrate the enduring popularity of children’s books. It’s wonderful that children have been given the opportunity to decide the winners themselves and they have clearly chosen some fantastic titles. Following a strategic review by the Institution of Engineering and Technology (IET) of its education activities, it has been decided to discontinue Flipside. As a technology lifestyle magazine, Flipside has been inspiring teenagers for nearly 10 years. It has been an amazing journey during which we have always searched for the inside story and unearthed fantastic facts. We have also brought readers the latest and greatest in games, apps, gadgets, film, TV, music and books. Hi Alex, thank you so much for agreeing to this interview. For those readers that may not have come across your work before would you like to introduce yourself to the audience please? Thanks Matt. I was a teenager in the last days of Apartheid, it was a violent and oppressive society, and themes that seem to recur in my novels are alienation, escape and finding ways of dealing with injustice and trauma. I’ve spent time living in China, Taiwan and the UK, and have travelled a fair bit around Asia, Africa, Australia and Europe, and so somehow also, travel/migration, culture, religion and the experience of being a stranger in a new place seem to find their way in most of my stories. Devilskein & Dearlove is your fifth book and second title for younger readers; did you make a conscious decision to write for Teenagers? Yes. There seems to be more creative freedom when writing for Teenagers. Perhaps that is just my perception and I’m misguided. But also, I have a son and he loves books (he’s only on picture books at the moment), and I want to write novels that he will enjoy reading. You have said that Devilskein & Dearlove was inspired by The Secret Garden – how did you develop the idea? The Secret Garden is one of my formative reading experiences, and to me it’s about finding happiness and magic where you least expect it. And that story has always lingered. In the last few years, South African fiction has broken out of its overly serious ‘JM Coetzee Nobel novel’ straight-jacket, and in particular genre fiction is leading the way (with the likes of Lauren Beukes whose Zoo City won the Arthur C Clarke Award a couple of years ago). The Secret Garden has happy memories for me; and so I wanted to bring its kind of unencumbered charm to a South African contemporary context. I re-read it before I started working and then brainstormed. Travel and place are always important elements in my stories; I very particularly wanted to set the novel in a memorable part of Cape Town. Long Street is an amazing place, full of life, night and day, where past and present, and local and international influences all collide. I have seen Devilskein & Dearlove compared to Neil Gaiman and Hayao Miyazaki’s work – are you a fan of their work? All through writing Devilskein & Dearlove, I was imagining the characters as existing in a graphic world, animated like the inhabitants of Miyazaki’s films. I Absolutely love both Gaiman and Miyakazi – they are both geniuses, so fabulously imaginative, their stories are transporting, there is real darkness that must be overcome and but in some way it is overcome, so there is also lightness and a great deal of delight too. It was Neil Gaiman’s ‘Graveyard Book’, a kind of reworking of ‘The Jungle Book’ that first gave me the idea of going back to one of my old favourite novels for a concept idea. Your previous four novels were all published in South Africa by Tafelberg, Struik & Umuzi in South Africa? How did you come to be signed by Arachne Press in the UK? I wrote a short story (Icossi Bladed Scissors) that was selected for a Liar’s League reading in London and then later that year Cherry Potts from Arachne Press created an anthology of stories called ‘Weird Lies’. She included that story in the anthology and during the editing process, she sent out an email requesting submissions of novels. I happened to be working on one, so I sent it to her and she like it. 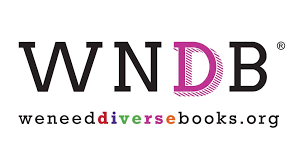 Devilskein & Dearlove is also the first YA novel to be published by Arachne Press – how does it feel to be the YA standard bearer for the publisher? That sounds a bit daunting. I like making up stories, that’s my job. Cherry has taken a big risk and I hope that Devilskein & Dearlove doesnn’t fail her. But to be honest, I don’t like to think too much about all the other stuff, although I know it’s very important. You won Silver in the Sanlam Prize for Youth Literature for Agency Blue in 2009, the Nielsen Booksellers’ Choice Award for Four Drunk Beauties in 2011 and you were short-listed for the Rolex Mentor & Protege Arts Initiative, the SA PEN Literary Award and 2010 Caine Prize. Do you feel under pressure from all these accolades or are you able to ignore the expectations and just write? In terms of being a person who likes to make things, in this case stories, I’m only as good as my last story. (Maybe a bit like cooking – you can make a really delicious meal, and everyone enjoys it and you all remember the good feeling, but every day is a new day, a new meal and the fun is in cooking, then the reading… I mean, eating, not so much in remembering last month’s dinner). So once something is edited and published, it’s over, there’s nothing more I can do to it, so the fun and the challenge are over. I’m always working on new things and that’s all I want – is to be in a position to keep making up stories that people enjoy (and getting paid a bit to do it). What is your favourite part of the writing process? The first chapter, the last chapter and editing the final draft. The South African YA writing scene seems to be exploding at the moment, can you recommend any works by SA YA writers that you enjoy reading? I’m a great fan of anything by S.A.Patridge, Andrew Salomon and also S.L.Grey. What is coming next for you after Devilskein & Dearlove? I’ve got a short story long-listed for a competition associated with the National Arts Festival – that anthology (ironically called Adults Only) is due out around July too. And the novel I’m working on at the moment is called My Little Demon but it’s getting to be too dark for my present state of mind, which, in spite of toddler-driven sleep deprivation, is surprisingly positive.